Buying and selling a home — and going through the moving process — is a big job, and it requires quite a bit of planning to pull off. 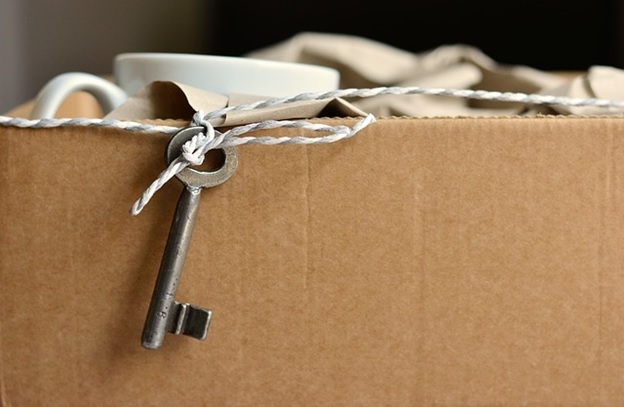 For seniors who are downsizing, there’s always a lot to think about, including paring down their belongings, packing up a home full of memories, and figuring out the logistics of the move itself. It might feel overwhelming at first, so it’s important to have a good support system around you, to get organized, and to take care of your mental and physical health during the process. For many seniors, downsizing is the next step after retirement. This often entails going through belongings to scale down — donating old clothes, for instance, or condensing photo albums and loose pictures by scanning them onto a computer — and getting used to living in a much smaller home. The benefits of this are life-changing for some, as it means not having to take care of a large yard or living in a one-story home with no stairs to traverse every day. It can be emotionally draining, however, to move from a home you’ve lived in for many years, so it’s imperative that you find ways to make the process as easy as possible. Packing up a home takes a while, especially if you have lots of memories. Ask a friend or family member to come over and help you go through your belongings, as there may be things you want to give to loved ones, items you can sell or donate, or things that can be thrown away. Having at least one other person there to help will make the process go much faster and will give you some much-needed emotional support. When you’ve finished with that part, consider hiring someone to help you pack up the rest. It can be a very physically demanding job, so having help can be extremely beneficial and help you avoid potential injury. There are a lot of details to think about when you’re selling or buying a home, and facing it all head-on can be overwhelming. Make some lists to ensure nothing is forgotten, and cross off each item as you complete it in order to stay organized. You might make a shopping list of supplies you’ll need or a list of tasks to complete (such as changing your address with the post office). Having it all written down in front of you will help you feel more in control and will give you peace of mind. Find some great checklists here. Moving can be emotionally and physically exhausting, so it’s a good idea to practice self-care during this time. This means finding ways to relax and participating in activities that make you feel good in healthy ways. You might make time to sit down and read, or to practice a hobby you enjoy. Taking care of yourself can go a long way toward reducing stress and anxiety during this time. If you have pets, remember that they’re going through the move too. Big changes can lead to anxiety in animals, so be mindful as you start packing; leave your pet’s belongings for last, and refrain from buying new toys or bedding for the new house, as this can be confusing for them. If possible, let your pet explore the new home before the actual move so it won’t come as such a shock, and ask a friend to pet-sit on moving day to keep him safe during all the chaos. Making a big move doesn’t have to be stressful; with some planning and a little help from your friends and family, you can pull it off as smoothly as possible. Don’t forget to rest often on moving day, eat something, and stay hydrated. Taking care of yourself is important on such a busy day. And once it’s all said and done, you’ll be moved in and ready to start the next chapter of your life. This entry was posted in Blog on April 23, 2018 by James Silver.